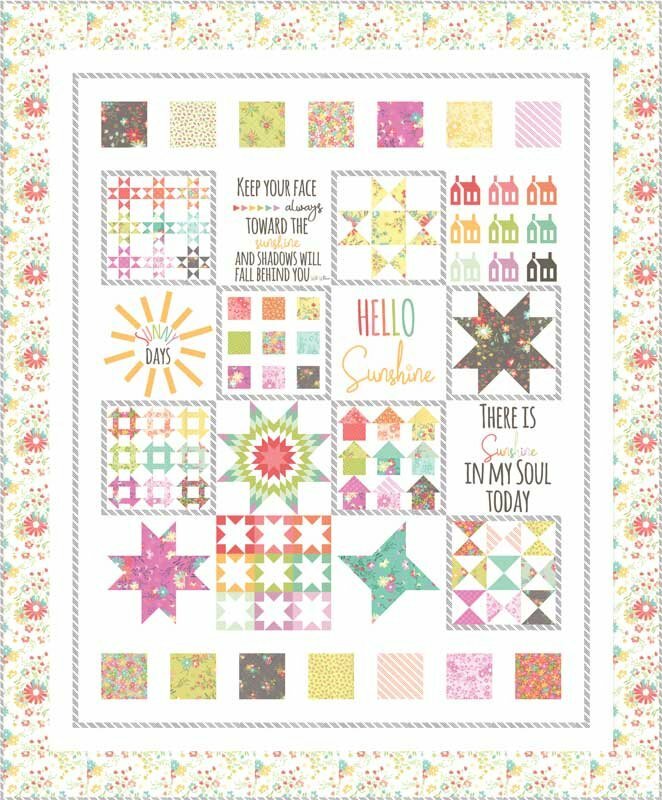 Quilt Kits > Sunnyside Up Sunny Sampler Kit designed by Corey Yoder for Moda Fabrics, 57" x 69"
Sunnyside Up Sunny Sampler Kit designed by Corey Yoder for Moda Fabrics, 57" x 69"
"Grab your coat and get your hat. Leave your worry on the door step. Just direct your feet to the sunny side of the street." SUNNYSIDE UP continues my love of a warm, happy palette featuring all of the colors of the rainbow. From warm reds to sunny yellows, all the way to a beautiful orchid purple, this collection has a dash of all of my favorite colors. Flowers are another one of my favorite things - "these are a few of my favorite things"...sung in your best Julie Andrews' voice of course - so you will find SUNNYSIDE UP is filled with flowers, big and small.